Caitriona Balfe and Sam Heughan in Outlander season 4. Sing me a song, a song that’s going to be very, very long. Starz has renewed Outlander, TV’s premiere fantasy-slash-romance-slash-sci-fi adventure, for seasons five and six as the characters settle into lives in America on the brink of the Revolution. 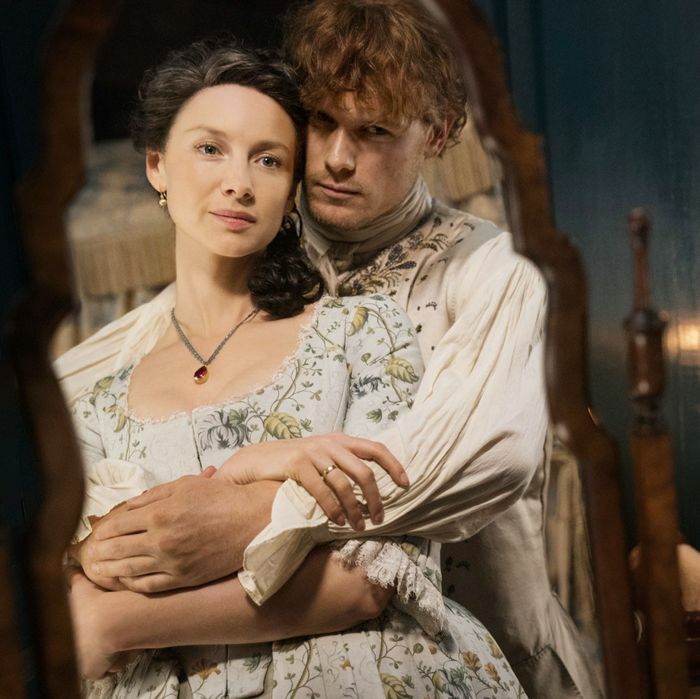 “Fans can rest assured their beloved Claire and Jamie will be back facing new challenges, adversaries and adventures in seasons five and six as we delve into American history and continue the story of the Frasers as they settle in the New World,” Starz president Chris Albrecht said in a statement. Each of those seasons will be a little shorter than usual, with 12 episodes apiece based on the fifth and six novels in Diana Gabaldon’s series, The Fiery Cross and A Breath of Snow and Ashes. 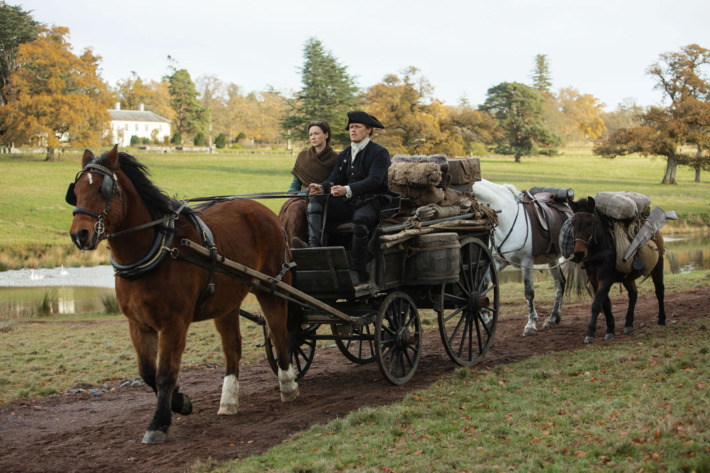 In addition to announcing Outlander’s two-season renewal, the show released a few first looks at its upcoming fourth season, which is based on Gabaldon’s Drums of Autumn. 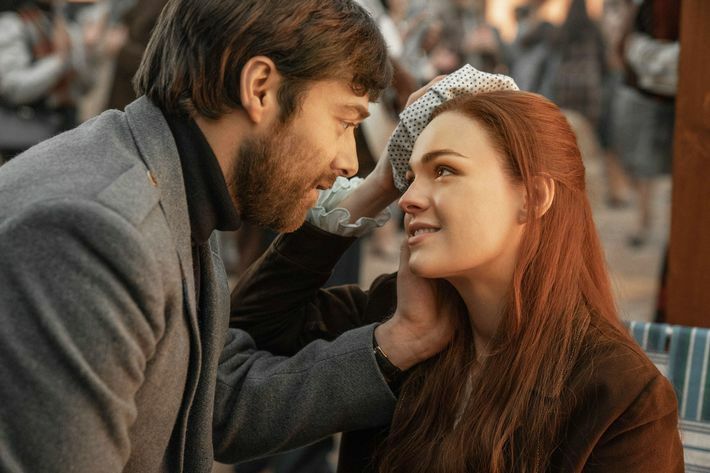 In it, we can see Claire and Jamie posing as intimately as ever, Claire and Jamie riding along through the “American countryside” (the show was still shot in Scotland), and Roger Wakefield (Richard Rankin) and Brianna Randall (Sophie Skelton) sharing a little moment of their own. The current droughtlander will end when season four premieres this November.